Kyabje Ugyen Choephel Rinpoche is one of the most well known Tulku among the young Tulkus of Nyingma lineage of Tibetan Buddhism. Rinpoche was born at the eastern part of India. At the tender age of seven, Rinpoche was recognized as the reincarnation of Terchen Drimey Lingpa by His Holiness The 14th Dalai Lama, Kyabje Dudjom Rinpoche, Dungsey Thinly Norbu Rinpoche and Lhadang Rinpoche. After Rinpoche’s recognition, His Holiness the 14th Dalai Lama brought Rinpoche to Mindrolling Monastery where Rinpoche started his journey to seek and study for his foundation course of reading and writing of syllable along with various rites and rituals. As a student, Rinpoche has been a very diligent and meticulous. Being an outstanding student, Rinpoche, thereafter joined Ngagyur Nyingma College and studied there for a diligent seven years learning and mastering literature, grammar, compositions, prose, poetry, history and all other related field as the general subjects. In addition to all that Rinpoche has to master, Rinpoche has to undertake to master an ocean filled and uncommon studies of Buddhist philosophy including Sutra and Tantra. Whilst Rinpoche is studying, Rinpoche continue to receive endless teachings, Empowerment, Oral transmission and Pitch instruction from many great masters of our time such as His Holiness The 14th Dalai Lama, Kyabje Mindrolling Trichen Rinpoche, Dilgo Khyentse Rinpoche, Trulshig Rinpoche, Penor Rinpoche, Dodrupchen Rinpoche, Taklung Tsetrul Rinpoche, Dungsey Thinly Norbu Rinpoche including Khochen Rinpoche. Rinpoche has also completed his Four Foundation seven (7) times and taken retreats in Mindrolling Monastery in India and Thupten Choeling Monastery in Solukhumbu, Nepal. Rinpoche has always been outstanding amongst all the young tulkus and lamas for Rinpoche’s intelligence. In 1989/1990, when the First Great Nyingma Monlam Chenmo was held in Bodhgaya, Rinpoche at the age of thirteen (13) was selected to be the First Chanting Master in that event. Rinpoche is the youngest Rinpoche to be appointed as a Chanting Master for such a grand event in the Nyingma’s tradition. Rinpoche is the lineage holder of nonsectarian, Mindrolling lineage and especially on new treasure of Terchen Drimey Lingpa. As sentient beings are crossing the boundless sea of suffering, Rinpoche with unceasingly compassion and tireless effort, never stop to guide his disciples to reach the shore of enlightenment by undertaking many dharma activities and unselfishly imparting his knowledge from the studies and practices which Rinpoche has received from his many great teachers and master. Rinpoche has always strive selflessly to spread and protect Dharma and hence, for more than ten years, Rinpoche has been actively involved with a few Mindrolling Dharma Centres in the Northern Region of West Malaysia where Rinpoche conducts pujas every year. Rinpoche has been giving teachings in different Dharma centres worldwide. 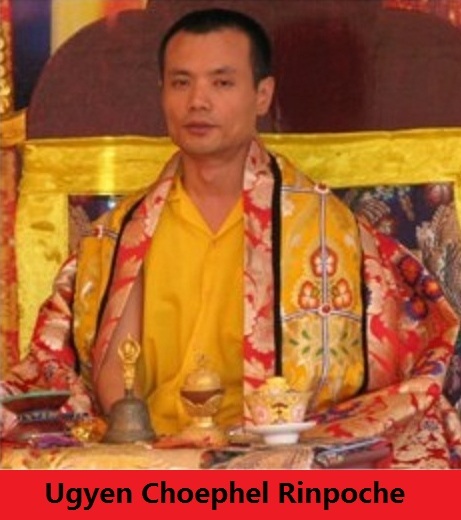 With disciples and devotees from all walks of life, Rinpoche’s disciples and devotees seeks Rinpoche’s guidance and teachings whenever time permits. However, Rinpoche who has being a friend and spiritual guide has always and will always greet them with ever forgiving and open arms to all his disciples and devotees who seek his guidance and teachings. During the inauguration of the Great Stupa for World Peace at Mindrolling Monastery in Dehradun in 2008, Rinpoche has offered each Lama a full set of robes to all the five hundred (500) monks in the monastery. The Mindrolling Monastery needed a new retreat centre to accommodate the rising numbers of lamas doing retreat. In 2009, Rinpoche started and undertaken the project to build a new retreat centre for the Monastery. The construction and building was started in the winter of 2009/2010. With many challenges ahead of him, Rinpoche conducted many pujas for the purpose of raising funds for the construction of the new retreat centre. With the joint effort of his disciples to raise funds, the new retreat centre, Drubde Ösel Ling was inaugurated on 2nd December 2011 by Rinpoche together with Khenchen Rinpoche. Rinpoche has meticulously took upon himself to oversee the whole construction of the retreat centre from the drawing up of the plans until the completion of the retreat centre. The retreat centre has 25 fully furnished retreat rooms, two shrine rooms, kitchen and staff quarters and all facilities needed for short and long term retreats. Since its inauguration, many lamas have used and have completed doing their retreats. Since its inauguration, Rinpoche still continues to be responsible for the welfare of all the lamas who are doing their retreat including all the staffs for the retreat centre. Rinpoche with a bodichitta heart aspire and will strive to undertake more projects including helping those in need by setting up emergency funds for people of all walks of life and in every part of the world. The project may be an uphill task but Rinpoche will continue to endlessly persevere and aspire to help and guide sentient beings.